We’ve recently been seeing a number of efforts to digitise everything around us. From ordering food to getting groceries, or buying tickets for various events, everything is becoming more digital and technology reliant. 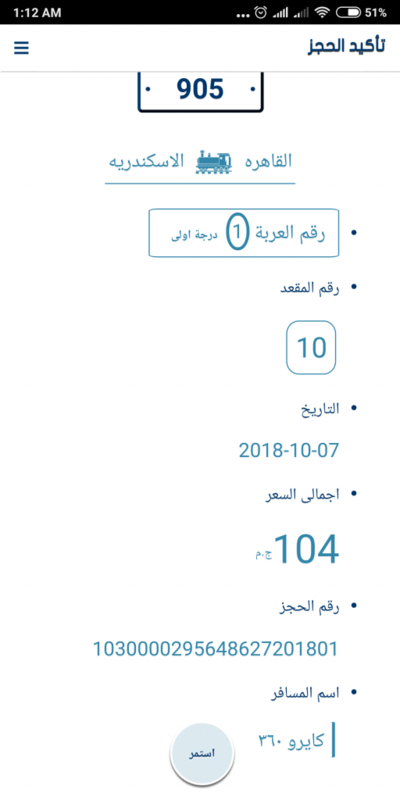 In that light, Egypt has also been taking strides in the same direction, with the latest being the release of an application for booking your train tickets online. Here, at Cairo 360, we’ve decided to check out the app and see how well it works. 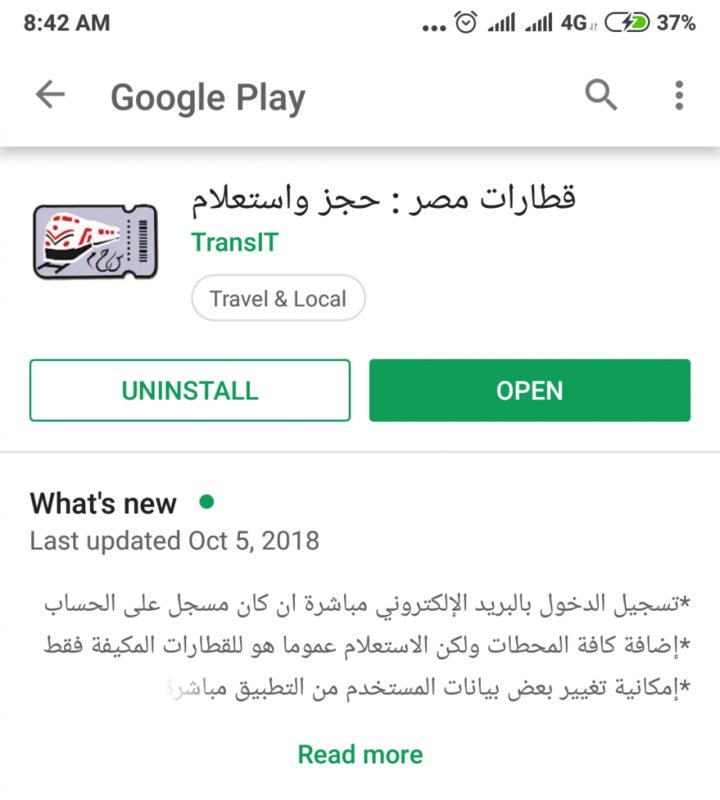 Right now it’s only available on Android, and you can find it on the Play Store under the name, “Egypt Trains – Booking & Inquiries”, but it’s actually written in Arabic. Check the developer’s name, TransIT, to make sure you get the right one, or click here to download it. First, you’ll need to set up an account or log in, at which point you’ll be presented with four options: Inquiries, Booking, My Trips, and Suggestions. Inquiries allows you to check the train timetables and seat availability. From there, you go to the Booking section, where we chose Online Tickets, and typed in the departure and arrival stations, as well as the date and departure time. It’s important to read the terms and conditions so you don’t face any trouble using your ticket. 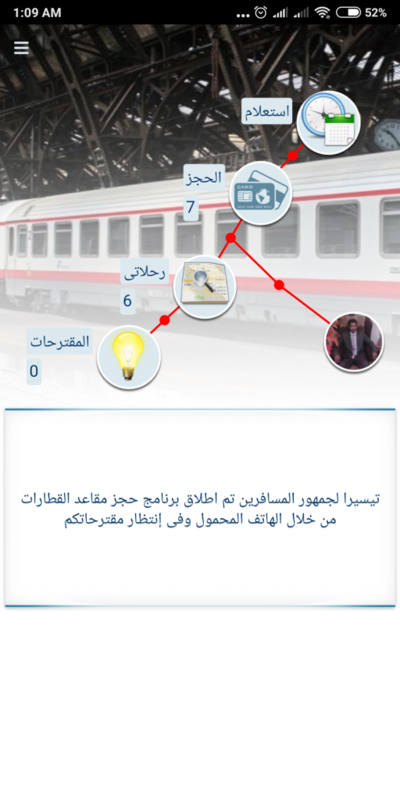 From Booking, you can select departure and arrival stations, date, train class, and number of seats. When typing your name, make sure you do so exactly as it appears on your National ID, this is very important in successfully using your ticket. Afterwards, you can see the available trains, dates, number of seats, and price of each ticket. Select your preferred time, and proceed. Next up is the booking details page where you can see information about your booking. 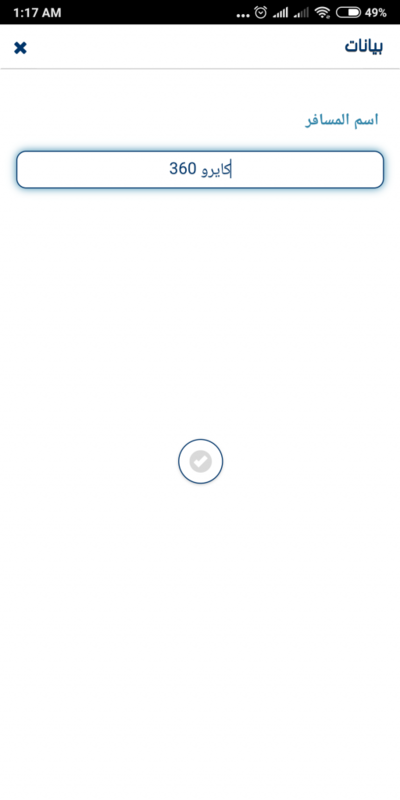 This will bring you to the payment page. You can pay with your credit card, whether it’s VISA or MasterCard. Type in the credit card information, make sure the fee is correct, and click “pay”. You’ll then be taken to the confirmation page, it’s best to take a screenshot of that page to use at the station. Of course, you can also print it out. 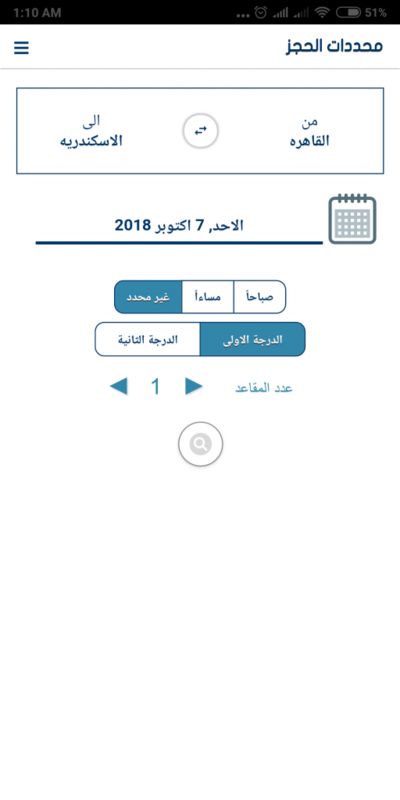 Before the release of the application, the Egyptian National Railways announced that seat selection would be available, however, it is has not yet been made possible; we hope this will change soon. Our overall verdict is pretty good. We liked how quick the process was, but payment options are lacking. 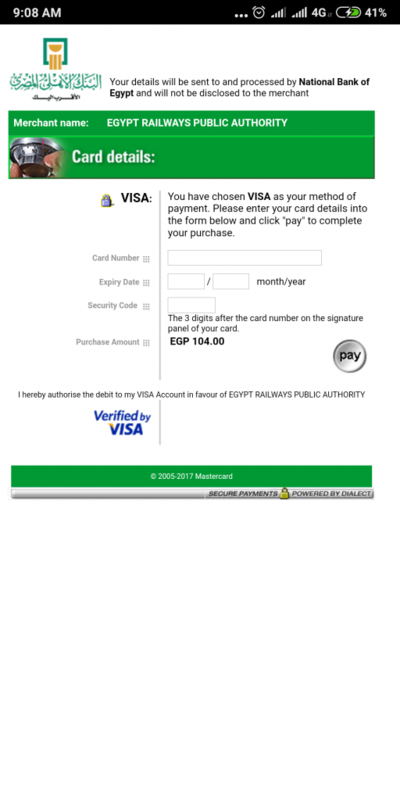 Not everyone in Egypt likes to use their credit cards online, and payment methods such as Fawry or Bee can be really helpful for people who don’t have credit cards, or do not wish to use them.